Awesome people! Helped us out on a road trip from Kamloops to Colorado with our travel trailer. After finding out that Kaltire (who just greased the bearings a few months ago) had left a dust cap off (or it flew off) I bought another cap and these guys were the only ones readily available to help re-grease the bearings. Found out that the outer seals had not been replaced, there was water in there, the bearings were dry and cooked. They saved us from a potential disaster. A big thanks to these professionals! Highly recommended! These guys are absolutely fantastic! After being yanked around at Costco - Costco sold me the wrong size tire and told me it was all my fault for buying the wrong size tires - 3 weeks later when my installation appointment was!!! I decided I would make some calls and support a local Penticton business. The prices here were comparable, they ordered the correct size tire and had them installed the next day - a Saturday no less. Big shout out to Big O Tires in Penticton - you guys ROCK!!! A couple times Ive called in and ask if they can squeeze me in. Both times they replied with a friendly "Come on in!" I love the competitive pricing and services they offer. Today I popped in to see if they could change a fuse as my radio & charger stopped working. It took them just a few minutes and told me it was on the house! You guys are awesome! Keep up the good work! Great service for my 2002 grand cherokee. Took it in to have a four wheel alignment and center my steering wheel after putting a 3" lift in it. 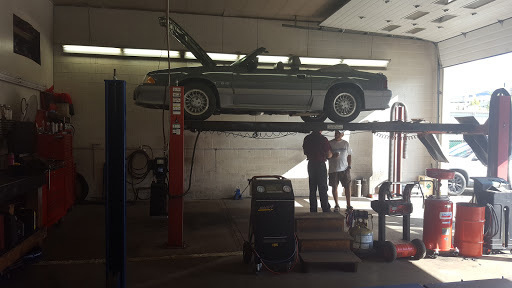 They booked me in within a day and were very knowledgeable about working with lift kits and alterations. Highly recommend this company and all of their great and friendly staff. Friendly staff, but hit and miss when experienced workers are on shift. Like any auto shop though, know why your there and what needs to be done so you know whats going on. Family owned with great service. Skilled employees who always have smiles on their faces. Best place in penticton to bring you vehicle. An excellent team with great service and professionalism. I wouldnt hesitate to recommend them to anyone. Wouldnt go any further else! They fit us in a got a big job done on a super busy day. Thanks so much!! Excellent service. Excellent people. Best place in town for tires and auto service! Service here is great family owned business very friendly and helpful. Went here for a tire change. Great service, affordable!